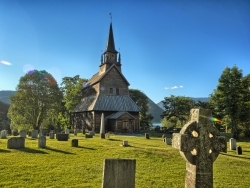 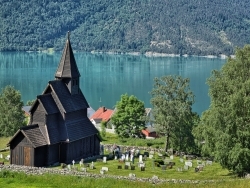 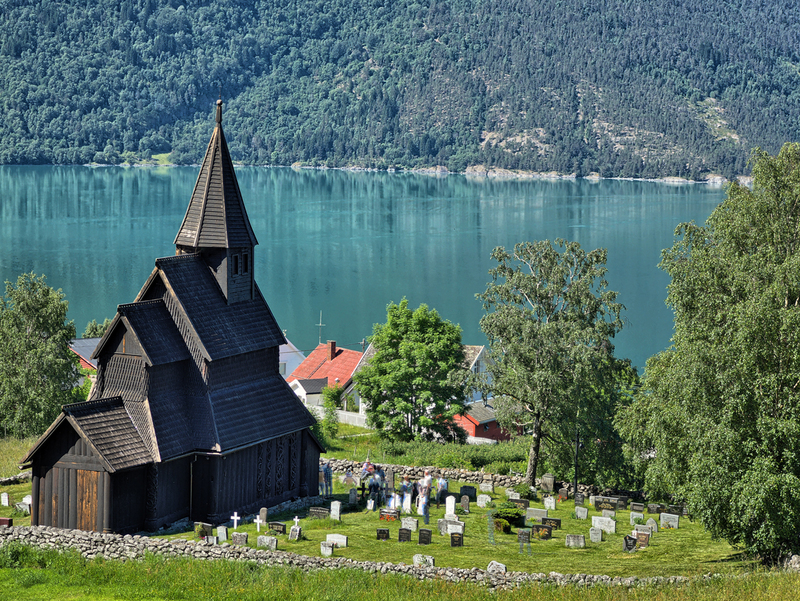 The Urnes stave church overlooks the Lustrafjord. 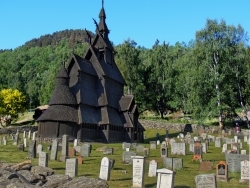 The Urness Stave Church was declared a World Heritage Site in 1979. 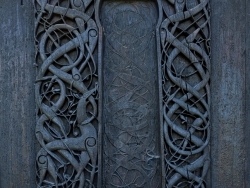 An intricately carved old door panel is located on the side of the Urnes church. 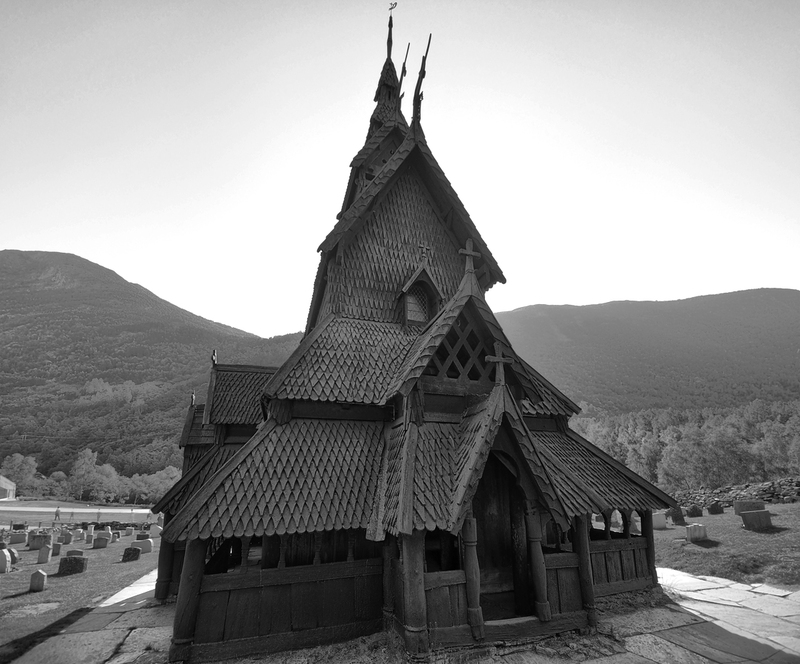 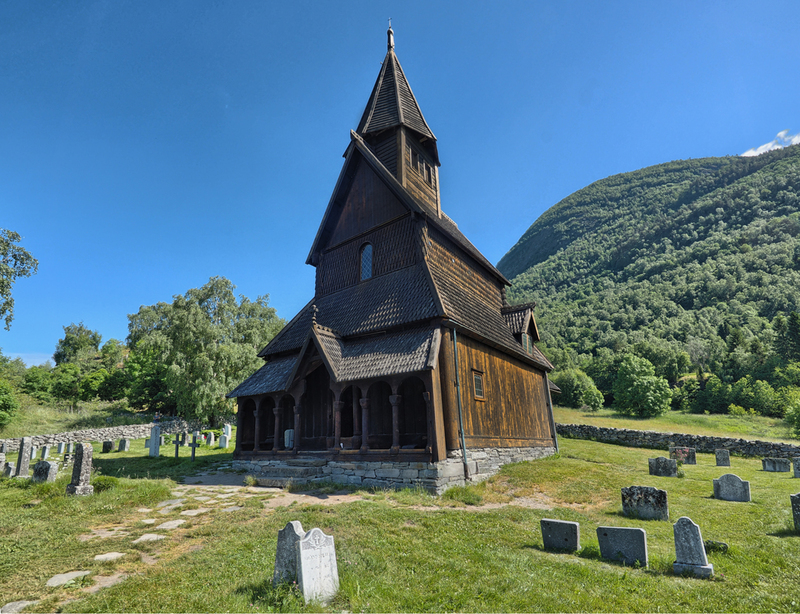 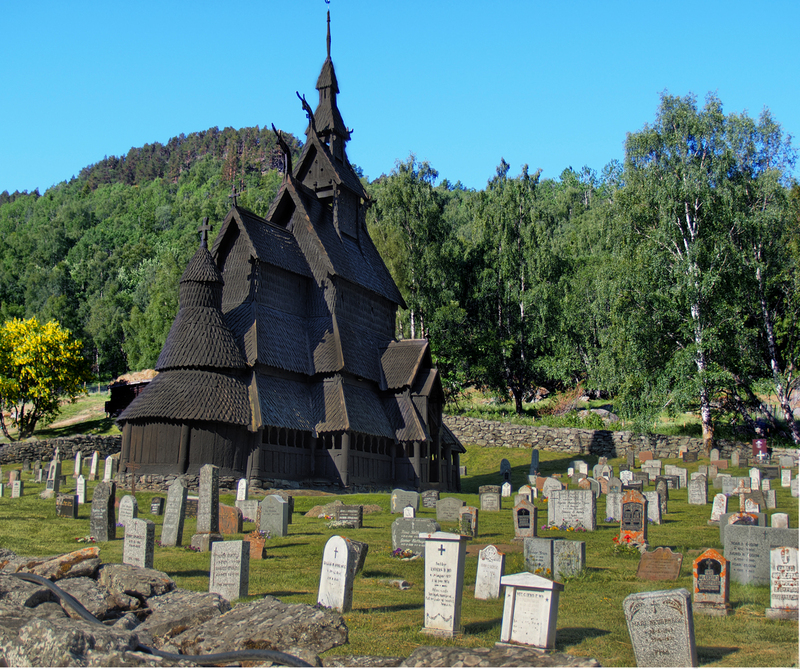 The Borgund Stave Church has an imposing, dark exterior that makes it appear much larger than its actual size. 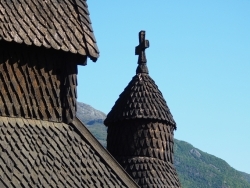 Two crosses are found on both ends of the Borgund Church. 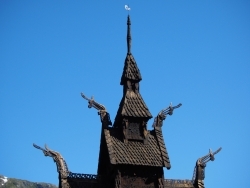 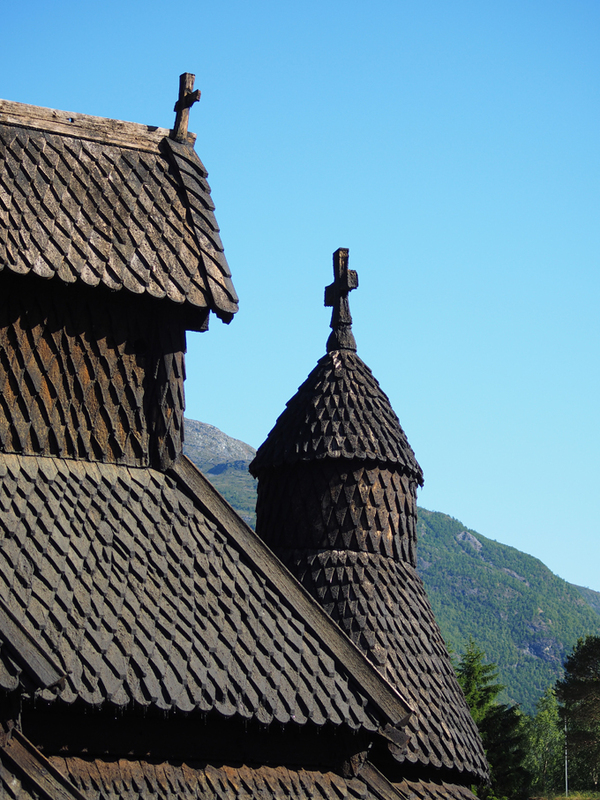 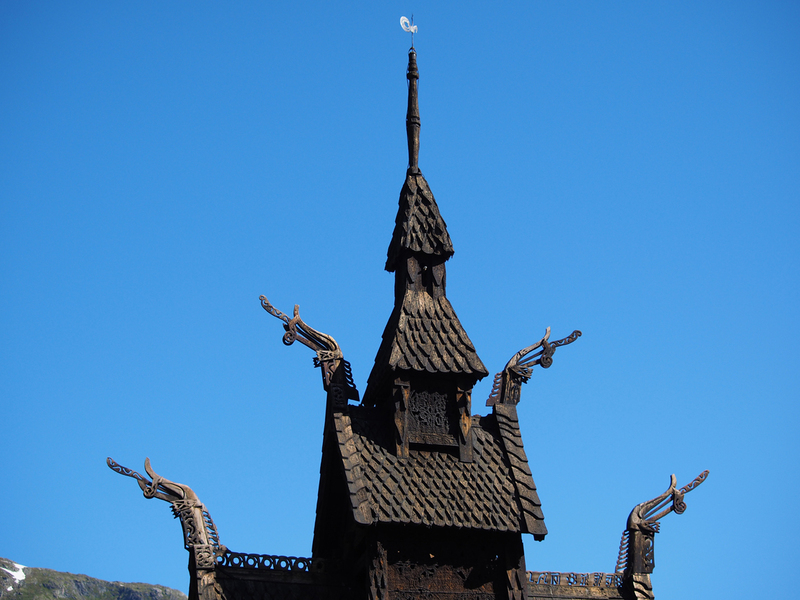 The top of the Borgund Stave Church is adorned with dragon heads. 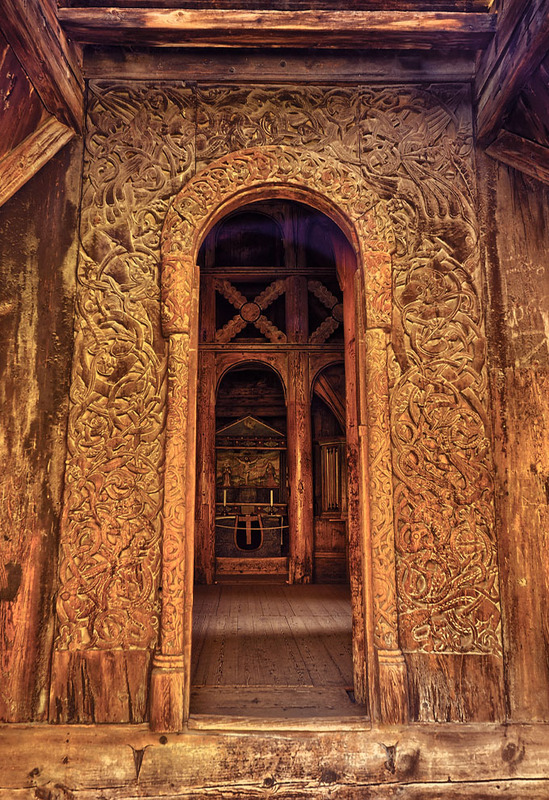 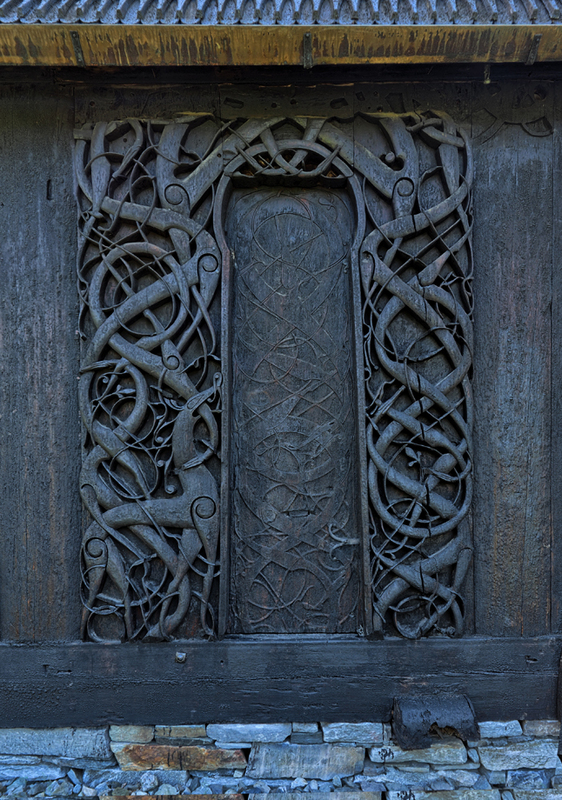 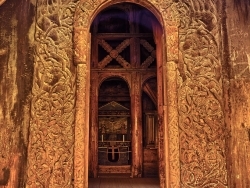 The western portal to the Borgund Stave church is intricately carved. 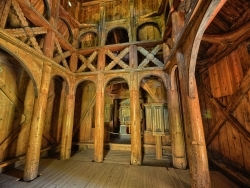 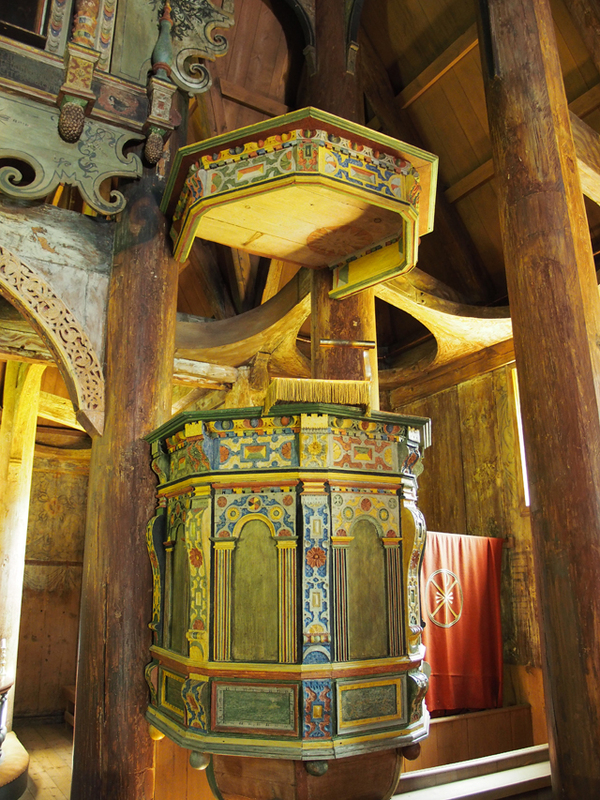 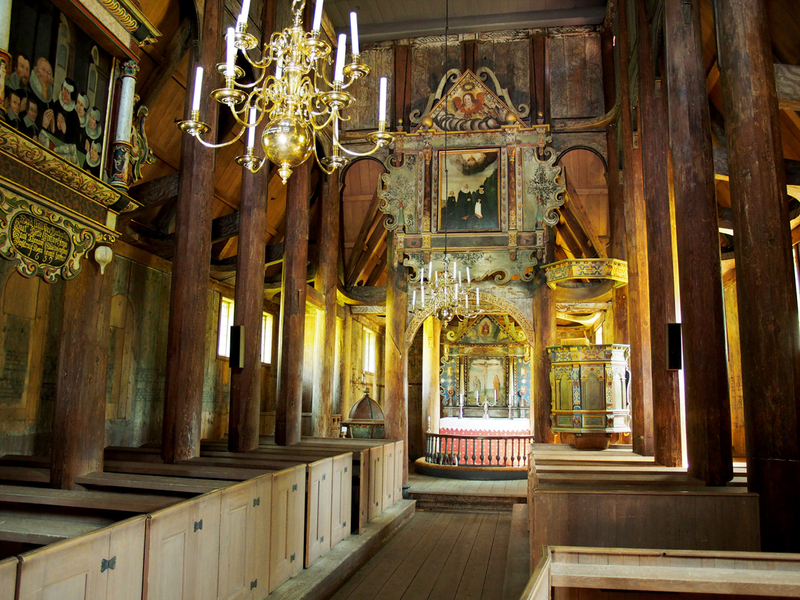 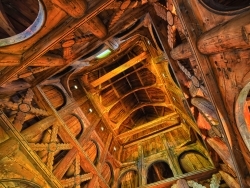 The inside of the Borgand Stave Church is elegant but relatively free of decoration. 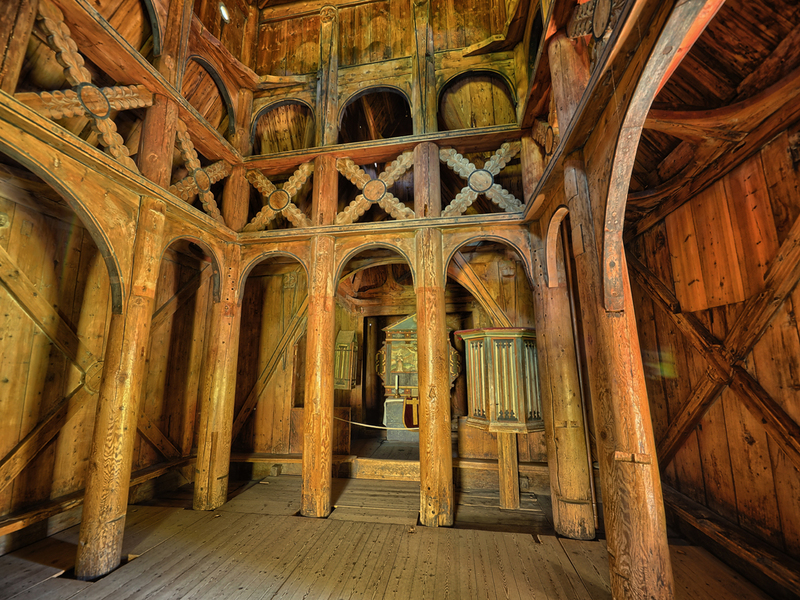 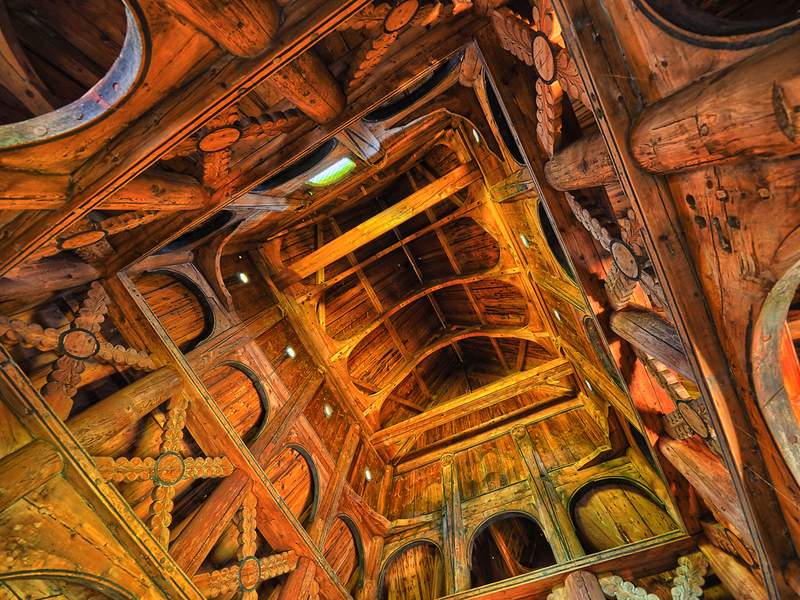 It is a breathtaking view to look up into the high ceiling of the Borgund Church. 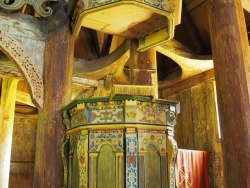 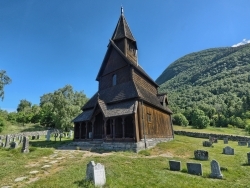 The Kaupanger Stave Church was returned to its original appearance when it was restored in the 1960's. 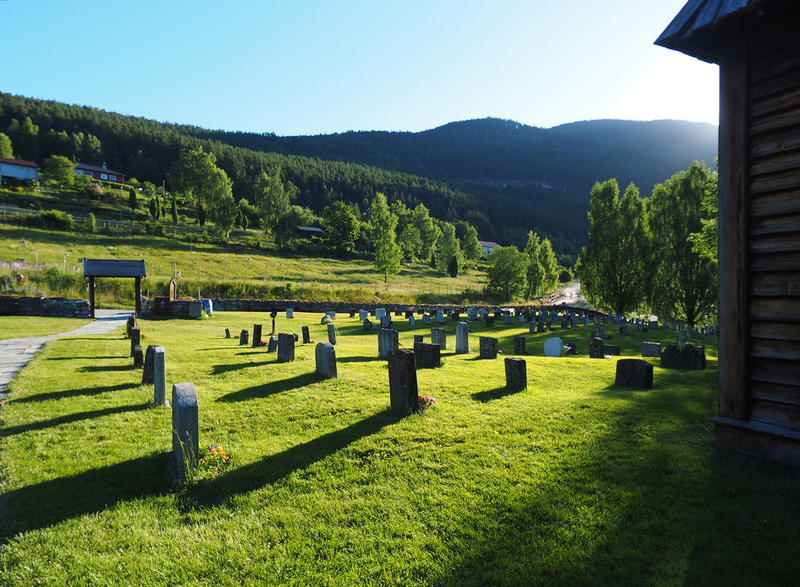 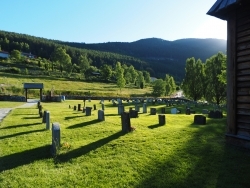 The early morning sun highlights the cemetary at the Kaupanger Stave Church. 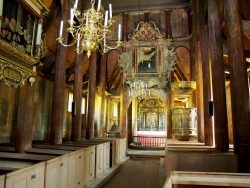 The interior of the Kaupanger Church was greatly revised in the late 1600's. 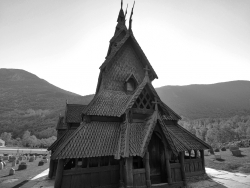 Glad you liked it, I was really impressed with the stave churches when I was in Norway.